4 October 2018: Students studying optometry at the University of Canberra will put their skills into focus in a brand-new state-of-the-art laboratory on campus. The Optometry Teaching Laboratory will help aspiring optometrists gain valuable pre-clinical skills in a simulated setting. 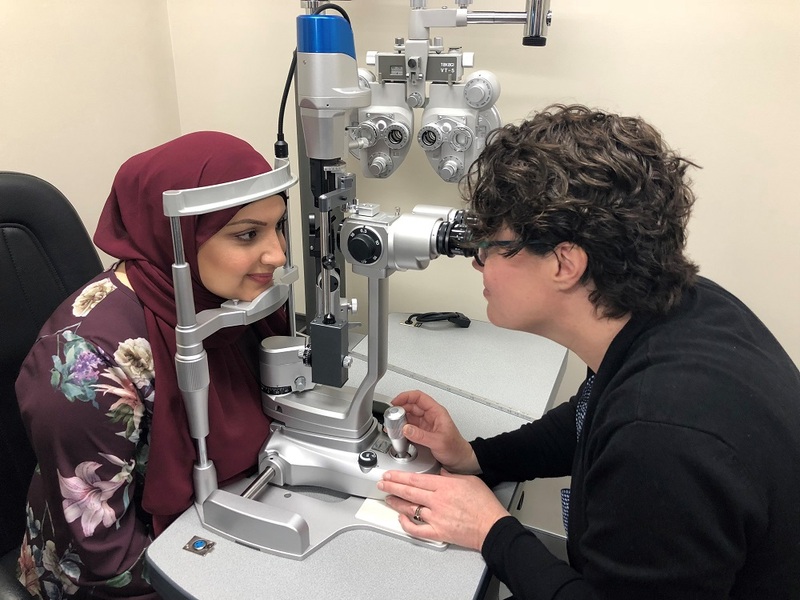 Located at the University’s Health Hub, the laboratory is modelled on a real-life optometry practice, placing students in their future work environment while they study. The pre-clinical space, which will also be used for research purposes, contains 16 fully equipped optometry suites accommodating up to 32 students. Each suite features cutting-edge eye technology, hand-held tests, instruments and charts used every day by eye practitioners. An additional open teaching area will allow clinical supervisors to conduct lessons and presentations, while sound and video recording technology will facilitate student feedback. Vice-Chancellor and President Professor Deep Saini said the new facilities will ensure students are well prepared to succeed in their clinical placements and beyond. “The University of Canberra is committed to producing high-quality health practitioners and the opening of this latest facility reinforces this promise to our students,” Professor Saini said. The Bachelor of Vision Science was added to the University’s growing number of allied health programs in 2018 to improve access to primary eye care, particularly in regional areas. Executive Dean of Health Professor Michelle Lincoln said the Optometry Teaching Laboratory will be instrumental in preparing students for their future careers. “We’ve created a space where students can build their skills in a setting akin to the real-world optometry environment,” Professor Lincoln said.